As the Paperight team, our aim is to recycle some of the marketing tactics that seem to have worked (among many that didn’t) over the last six months. Mostly, this means focus: helping very specific outlets sell very specific books to their target markets. We’ve engaged a PR company to help us plan and execute a promotional strategy for six months. So, assuming we like what they propose, planning with them will be a key highlight. I’ll lead the development of new features on the website that will greatly increase our speed and greatly improve aspects of our service over the coming months. In the last three months we’ve got a few concrete things out the door. 20 June 2012: Our help site for outlets and publishers is up. 1 August 2012: Our full-page ad in Live Magazine is out. 30 August 2012: We finalised a very important deal with the Jetline chain of copy shops, which we reported on our blog here. I’ve also been getting around to spread the word. 24 July 2012: Interviewed on Cape Talk drive-time radio with John Maytham. 21 July 2012: Gave a well-received talk at TEDxCapeTown. Here’s the text of the talk and here’s the video. 11 July: Spoke to an enthusiastic group of high-school kids at Enke:forum. 19 June 2012: Chaired a panel discussion with Alan Knott-Craig Jr and Gus Silber on their new book ‘Mobinomics’. Here’s the Bookslive report. 28 August 2012: I was interviewed for if:book Australia about Paperight. Here’s a snippet video, the full video interview is coming later, apparently. 23 August 2012: Little interview with an enthusiastic “citizen journalist”. I posted the full text of the interview on our blog. 26 July 2012: You Magazine and Huisgenoot describe Paperight in a feature article called “No textbooks? 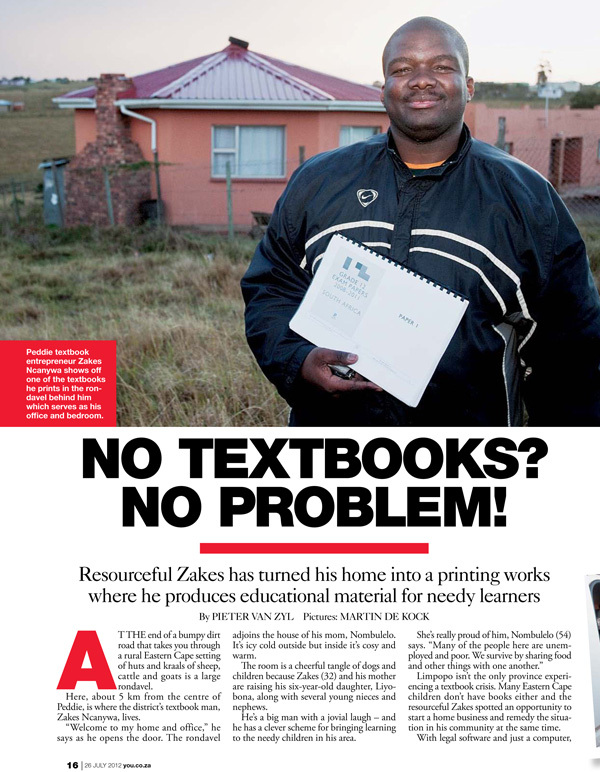 No problem!”, a profile on Zakes Ncanywa in You Magazine and Huisgenoot, by Pieter van Zyl. (Article concept and much of the execution taken from Nick Mulgrew’s earlier piece in the Mail & Guardian, mentioned in my last quarterly report.) You and HuisGenoot have a combined readership of over 4 million. 25 July 2012: Nice pieces on the Mellville House publishing company’s blog about Paperight and the Publishing Genius Press (Baltimore) blog. 24 July 2012: Lots of re-hashing of a press release we did with Realm Digital across many IT websites, including this piece on ITWeb and half a dozen others. 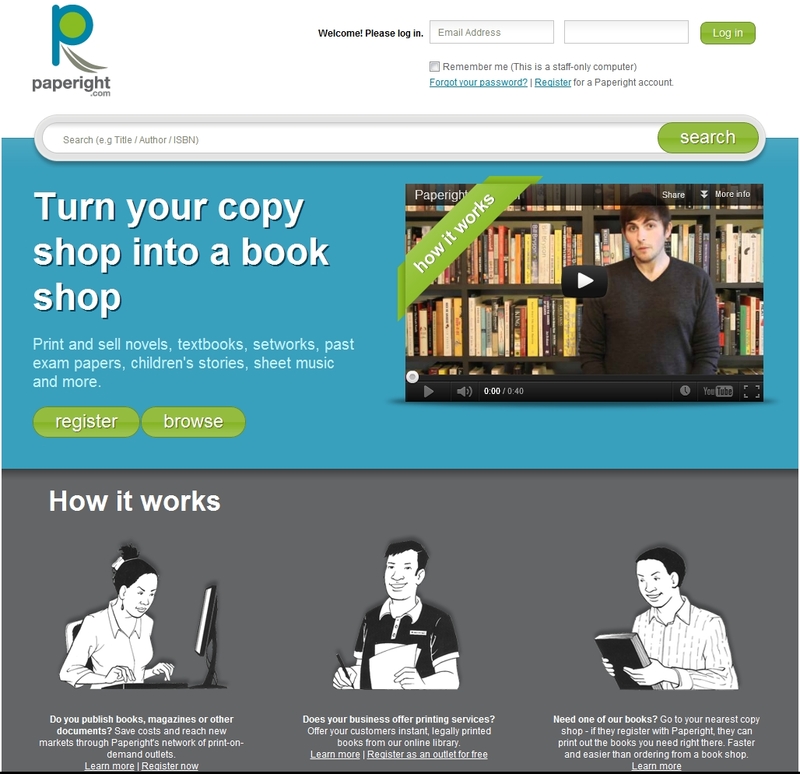 12 July 2012: One of our champion publishers in the UK, Anthony Haynes, blogged about Paperight again. 14 August 2012: An email interview with a publishing MA student titled ‘Trade publishing challenges in South Africa’. 8 August 2012: An interesting anecdote about textbooks in Rabat. 9 July 2012: A thorough view on why schoolbook-purchasing is broken, called ‘The weakest links in schoolbook publishing’. Continue and learn from our promotional campaign in Khayelitsha working with Silulo copy shops. Build our outlet footprint in Gauteng, KZN, and Eastern Cape (we’re working on collaboration with the three major copy-shop chains in South Africa). Another phase of software development, primarily to automate document preparation and boost exponentially the speed with which we can add content to the site. Build media interest in and coverage of Paperight through articles, interviews and speaking events. The first large project that I participated in at Paperight was the sourcing and collation of matric exam packs, under Tarryn’s guidance. 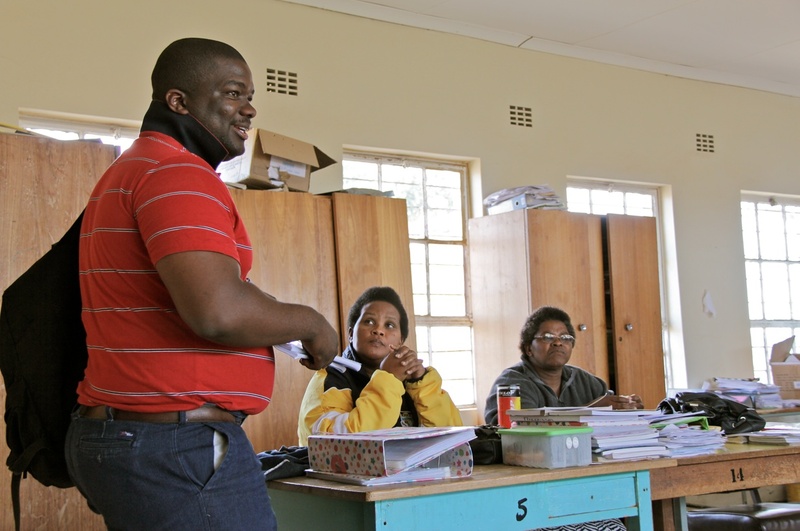 The plan was to bring together every matric exam paper, memo and addendum from 2008 to the present (then, 2012) into one, easy-to-access resource for matrics. 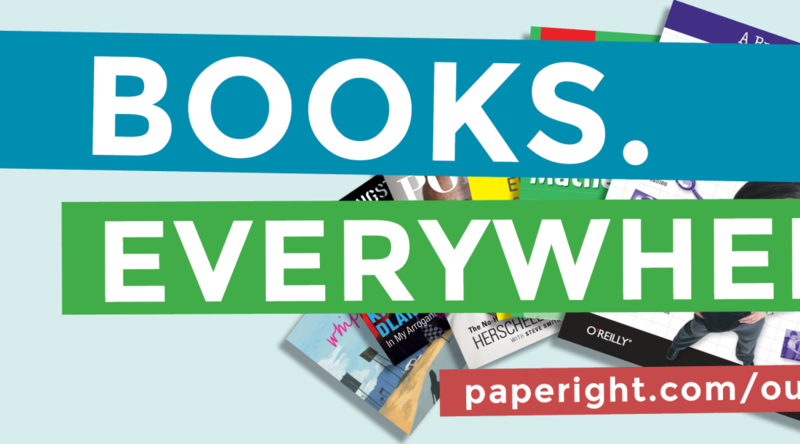 This resource would make Paperight attractive to potential copyshop partnershops, and would give us a reason to approach schools. Seeing as the papers were in the public domain, our idea was to make them free to print, so anyone could make use of the service. This would also make Paperight extremely attractive to copy shops as they wouldn’t need to shell out any money for credits up-front, and could get familiar with the system over time. 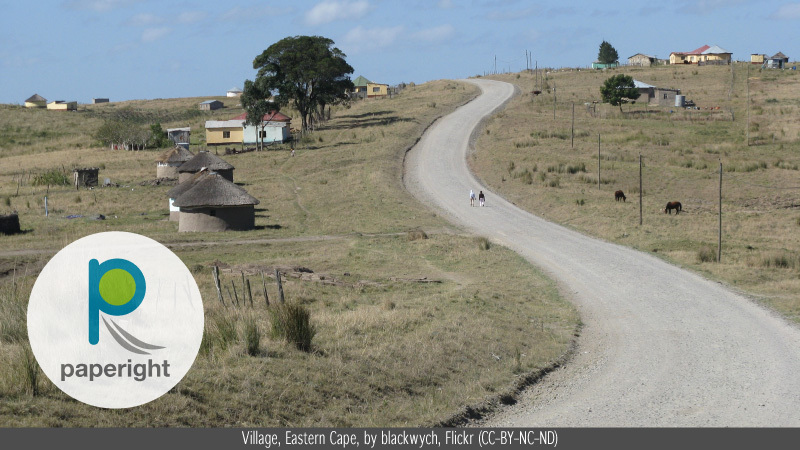 Initially, Tarryn and I (and, previous to my arrival, our previous intern and my friend Michal Blaszczyk) trawled the internet – especially the websites of the different provincial Departments of Education – looking for all the papers we needed. In the end, however, we found we had over 100 documents outstanding between us. In essence, government education websites and resources had (and probably still have) a lot of dead or wrong links, and nobody in the Department of Basic Education were able to supply us with the missing exams. In a fit of desperation a few weeks into the collation process – and while Tarryn and Arthur were both overseas and I was left to man the office alone – I drove to the Western Cape Department of Education at the Grand Parade, snuck into the building, and stalked the halls asking people if they might be able to give me all the past papers for all the subjects “for my little sister”. After being chased out of rooms and down depressingly-lit and security-barred corridors, I eventually managed to find a man who would take my flash stick through a security gate to his computer to give me the exams. Unfortunately, it turned out, even his selection of exams were incomplete and thus completely useless for us. Some weeks later, after much swearing and complaining about the state of government websites and systems, we caved in and bought disks from EduMedia, the WC DoE’s multimedia arm, at their Mowbray offices. 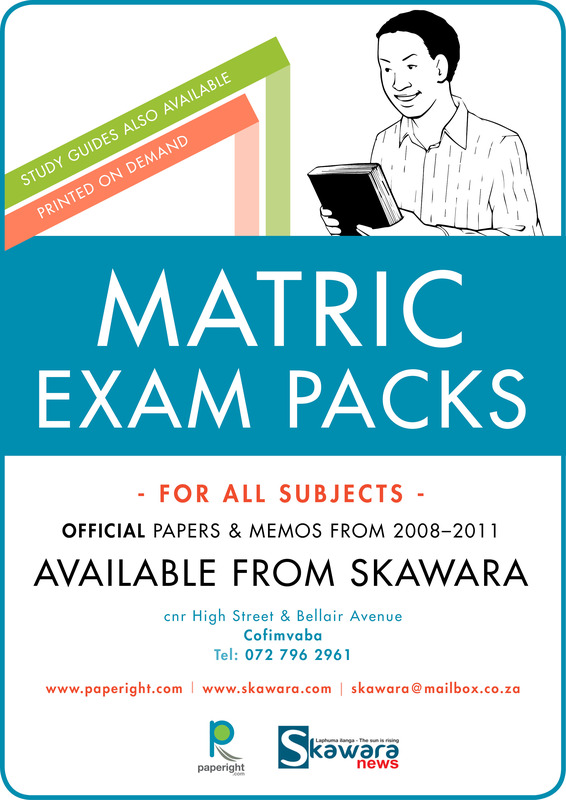 These too weren’t comprehensive, but they filled in enough gaps for us to be able to go ahead with our planned claim that we had the most comprehensive collection of past matric exam papers and memoranda available for free in South Africa – an extremely helpful PR hook. After six months of funding, where are we now? and started on UX and specs for Paperight 1.0. In our second quarter, we’ve focused on building a viable first-stage content list, planning our marketing for the next six months, and early thrashing for the Paperight 1.0 site build. and continued to develop our internal ops manual (guides, standard docs, and reference info) in a wiki, to help new team members get up to speed quickly, and keep existing staff up-to-date. The team’s now four people, and about to be five: myself, Tarryn-Anne Anderson (Content Manager), Nick Mulgrew (content-team intern), Niki Anderson (part-time marketing), and an outlet-relations manager we’re appointing shortly. Michal Blazscyk (content-team intern) finished his internship and is off the London, where some lucky publishing company will snap him up. So, that’s two quarters down. We have a gameplan for each one, even if day-to-day things seem to turn on a dime. The first quarter was infrastructure and research. The second: a substantial content offering, marketing planning, and Paperight 1.0 thrashing. For our third quarter, we’re getting out of the office with direct outlet approaches and a PR-heavy marketing campaign, and getting Paperight 1.0 built and running. 1.0 gives us key new functionality important to outlets and publishers: especially instant doc-delivery, currency conversion, and catalogues defined by territory. The fourth quarter will also be marketing-heavy, and will include pushing commercial-publisher content that we can only sell with 1.0′s territoriality features. Behind our efforts, the ever-supportive, midnight-oil-burning team at the Shuttleworth Foundation keeps our mental, emotional, and electrical lights on. And my fellow Fellows are an unending source of inspiration, common sense, and cryable shoulders. Cheers to them. By January we were nearing completion of the content list for the first 1000 titles. It included popular classic fiction, open access educational material and matric exam packs for 2008–2011. 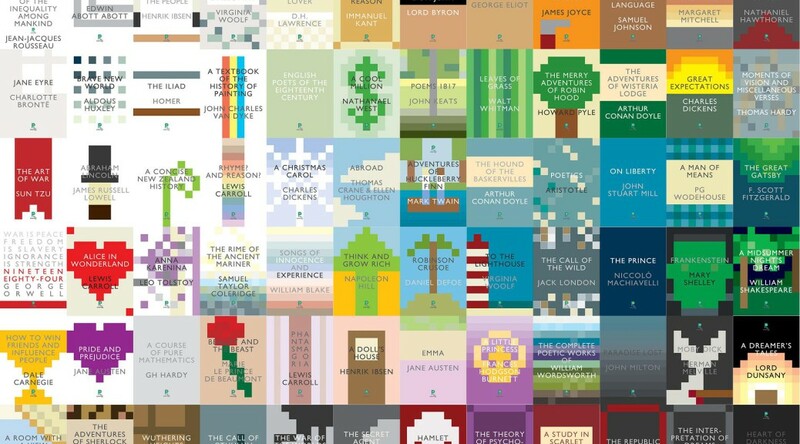 The majority of these works were sourced by combing through lists of “popular/top”, “most downloaded”, and “most purchased” lists on various websites which sell or offer free access to public domain works. Other resources used for sourcing product leads included public domain curation and review websites, as well as compiled lists of the “best books of all time”, setwork lists, and the Nobel and Pulitzer Prize winners’ list (links to each of these resources can be found on the Paperight Wiki). We also started brainstorming ways to market these titles to outlets, and met to discuss values, pitches, and posters. These were important initial discussions where we began the process of creating the Paperight brand identity. We decided to design a poster that we could send to registered outlets, and take with us when pitching to new outlets and publishers to make the concept more solid. It included a set of featured products that we felt would sell well to matric students and first year university students. Each product was assigned a three letter tag so that they could be found easily. In hindsight this was a lot of work for one poster to do. We printed out 1000 posters and distributed them, but never received and visible indication that they were increasing sales. 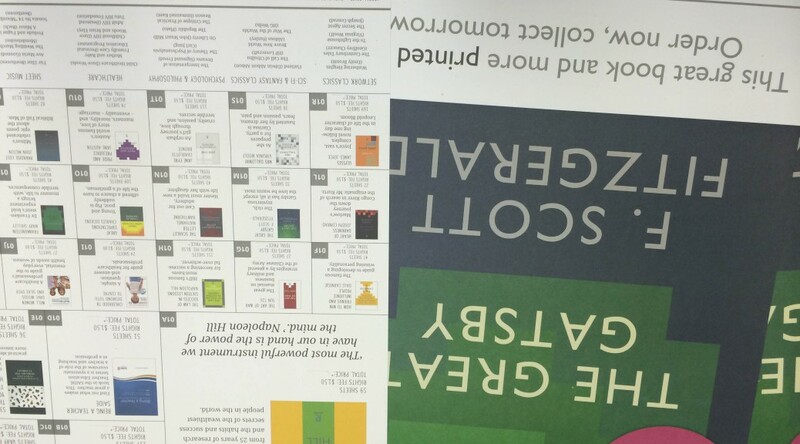 The poster was meant to function as both a catalog and an advertisement, and assist with product discoverability. In hindsight this was a lot of work for one poster to do. We printed out 1000 posters and distributed them, but never received and visible indication that they were increasing sales. More on the poster here.